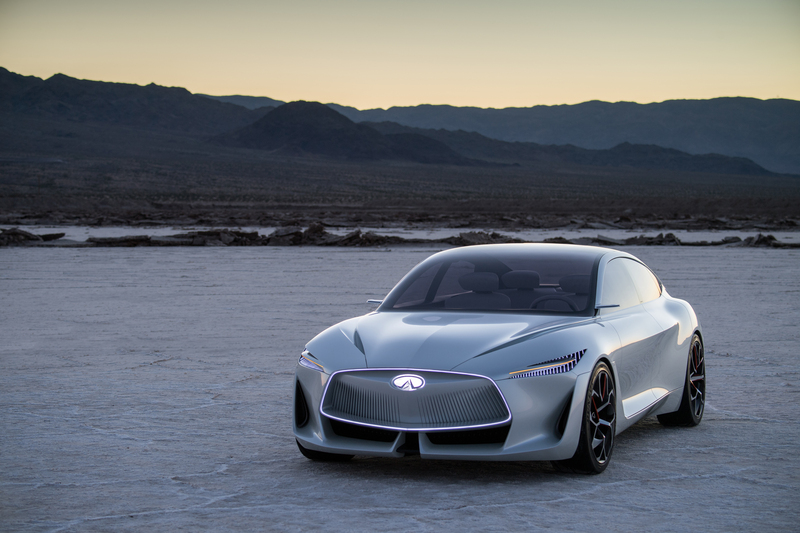 INFINITI has pulled the covers of its new Q Inspiration Concept car at the 2018 North American International Auto Show in Detroit. Designed to preview a new generation of future INFINITI vehicles, the Q Inspiration Concept proposes how an innovative powertrain, next-level autonomous drive technologies, and a human-centric interior could enrich the experience of drivers in the mid-sized saloon segment. Powered by INFINITI’s recently launched and revolutionary new VC-Turbo engine, the concept car boasts a powertrain combining turbocharged gasoline power with the torque and efficiency of a hybrid or diesel engine. Q Inspiration also points towards the next phase of vehicle autonomy for INFINITI. The new ProPILOT functionality liberates the driver from mundane and stressful driving situations by acting as a ‘co-pilot’ and leaving the driver with ultimate control.